A classic local race, Blackstone Edge has been organised by the legendary Kevan Shand for the last 36 years. The race is a quick 4 mile blast from Knowl Farm, Lydgate, to the Blackstone Edge trig point and back again. Getting has fourth 2nd place this year for Calder Valley, it can’t be long before Martin Howard wins a senior race outright. Under 23 Martin finished in 33:06, less than 2 minutes behind Andrew Worster of Todmorden. Romans Sostovs was second Calder in 13th place and Club Chairman Bill Johnson thord Calder in 22nd place. Helen Buchan was second woman behind Annie Roberts of Todmorden. A slight disappointment at the prize giving as the extensive prize pot was missing the usual nine rolls of toilet paper, although Bill Johnson was pleased with his dozen eggs and Jon Emberton came away with a collander. 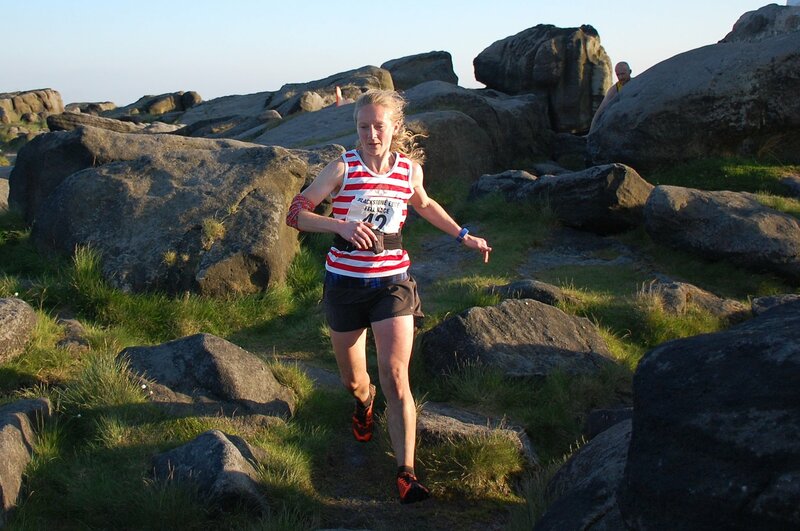 A race up the third highest mountain in England was taken on by a few Calder Valley Fell Runners last Saturday. 15 miles from Threlkeld to Hevellyn and back the race includes a massive climb early on up to Clough Head, followed by a runnable jaunt along the ridge to Helvellyn. A epic 8 day multi stage ultra race, the Cape Wrath Ultra covers the 400km from Fort William to the most north-westerly point of the British Isles at Cape Wrath. The route travels through deserted highland valleys and along the shores of remote lochs in the landscapes of Morar, Knoydart, Kintail, Torridon, Assynt and Sutherland. 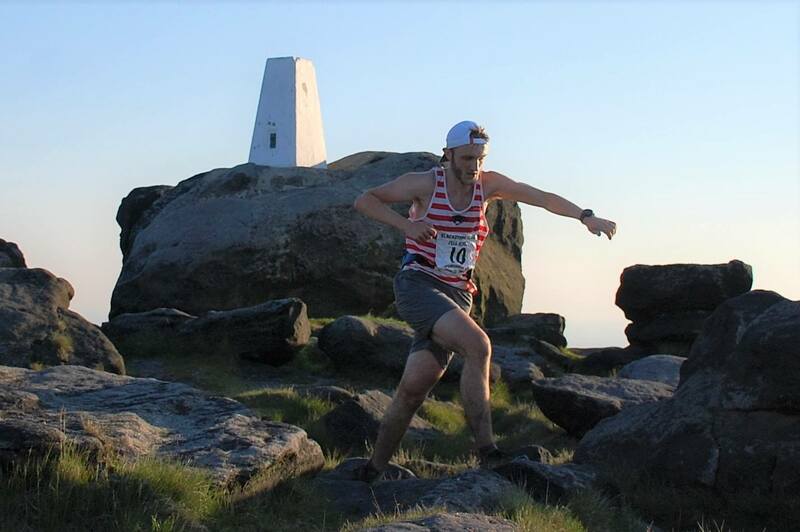 Calder Valley’s Phil Beecroft, always up for a long distance challenge, competed the route in 76 hours 37 minutes and 17 seconds to come in 68th place. The only word from Phil since he finished was ‘brutal’. 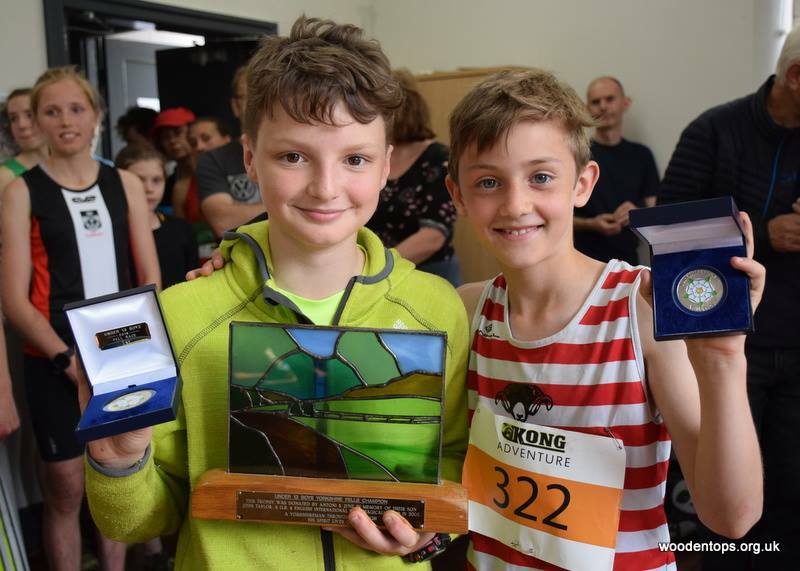 Saturday saw a number of Calder Valley juniors test themselves against some of the best runners in the country at the West Nab fell race in Meltham, being both an English Championship and the Yorkshire Championship race. Clara McKee won the U9s outright by some distance and celebrating his first boy position was Ted Parker who came in second in spectacular style. Lennon Wilson and Thomas Annison also ran well. The U11 race saw Thomas McKee coming 9th with Sam Annison, Ollie Pickens and Finley Canning all coming in the top 30. Patrick Casey came in 3rd in the U13s and Charlie Pickens 6th. Leo Illstone, Evelyn Illstone and Fearne Hanson also did well on what was a very hard course. The U15s race saw Will Hall come in at 8th followed by James Duffy and Alex Duffield who both came in the top 20. It was also the Yorkshire Championships for the U13s and over. Patrick Casey picked up the gold medal and Charlie Pickens the silver in the U13s and Will Hall was awarded with the silver medal in the U15s.